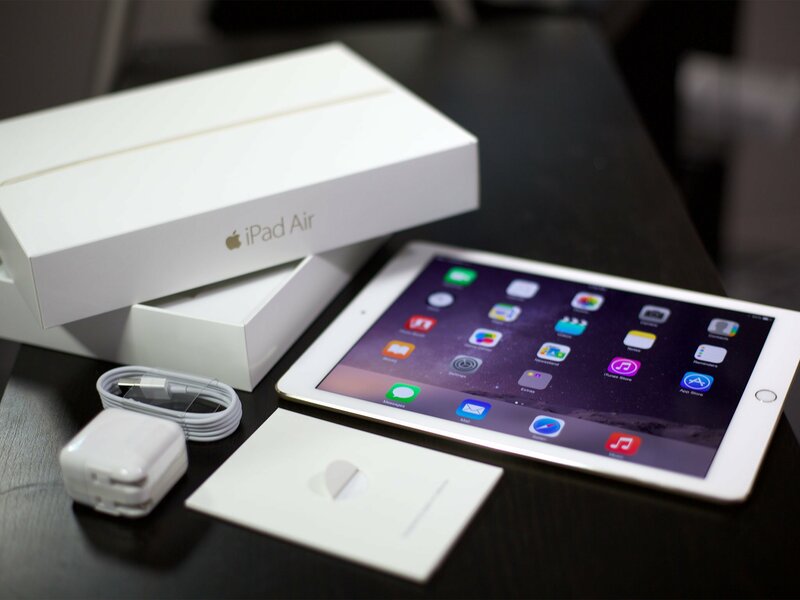 9.7-inch iPad and iPad mini 4 FAQ: Everything you need to know! Apple has unveiled a new iteration of its 9.7-inch iPad, but what's new about it? We've got everything you need to know right here. Apple has just announced a new version of its 9.7-inch iPad, replacing the aging iPad Air 2. That comes with a moniker change: Instead of "iPad Air 3," the non-iPad Pro model is just called "iPad." The iPad mini lives on as "iPad mini 4," but has been reduced to a single 128GB model (and no processor upgrade). While the new 9.7-inch iPad won't match the performance of the similarly-sized iPad Pro, it's a nice entry point for the education market and first-time tablet users. Here's everything you need to know about Apple's updates. So this is a new iPad Air without the iPad Air name, huh? Exactly. The new 9.7-inch iPad replaces the iPad Air 2 in Apple's tablet lineup — but though it's the same size, it's not an iPad Pro. Apple's newest tablet is a bit cheaper ($329 vs $599 for the entry-level 32GB Wi-Fi model), but it's lacking many of the Pro's keystone features. What's the difference between the new 9.7-inch iPad and the iPad Air 2? The biggest change is a processor upgrade: Apple's newest tablet includes the iPhone 6s's A9 chip and M9 co-processor, supplanting the iPad Air 2's A8X chip. It's also a little heavier and bulkier than both the iPad Air 2 and, strangely, the 9.7-inch iPad Pro, weighing in at 1.03-1.05 pounds (depending on Wi-Fi vs Wi-Fi + Cellular) with a depth of 0.29 inches — 0.05 more than the iPad Pro. There's also no laminated display and no DCI-P3 color gamut. That means the screen is like iPad Air 1 rather than iPad Air 2 or 9.7-inch iPad Pro. So, not so much anti-glare and sRGB-only color. Besides that, the new iPad is relatively identical to its older Air cousin: It has a 9.7-inch Retina display, 8MP rear-facing iSight camera, 1.2MP FaceTime camera, Touch ID sensor, and 10 hours of battery life. You also have the same three color options for the new iPad: Silver, Gold, or Space Gray. I didn't see you mention the Apple Pencil or Smart Connector. Yup. Those two features remain iPad Pro-only, as does the 9.7-inch Pro's True Tone and Wide Color (P3) display. Also somewhat strange is that the iPad mini 4 has features the new 9.7-inch iPad lacks — it doesn't sport the laminated display or antireflective coating present on all other iPad models, Pro and Mini. What else is different between the 9.7-inch iPad and iPad Pro? By picking up the cheaper 9.7-inch iPad rather than the 10.5-inch iPad Pro, you'll be missing out on the quadruple-speaker sound of the Pro model, its A10X chip and M10 coprocessor, Wide Color display with ProMotion refresh technology, 12-megapixel camera with True Tone flash, Live Photos, 4K video recording, 1080p slow-motion recording, increased video stabilization, autofocus recording, front-facing 7-megapixel camera and Retina Flash, LTE-Advanced network, embedded Apple SIM, or rose gold coloration. How much does this new iPad cost? The Wi-Fi-only 9.7-inch iPad starts at $329 and comes in two storage capacities: 32GB for $329, and 128GB for $429. Additionally, the cellular model comes in the following configurations: 32GB for $459, and 128GB for $559. Unlike the iPad Pro configurations, there's no 256GB model available. Okay, so why would I buy a new iPad over an iPad Pro? While not outwardly stated, the primary market here is clearly education: The new 9.7-inch iPad is inexpensive even at large capacities, making it a potentially appealing choice for educators looking to pitch their administrators on a tablet workflow. But it could also be a great tablet for first-time buyers and those who don't need the iPad Pro's bells and whistles. On the upgrade side, if you still have an iPad Air 2 and are happy with it, there's no real need to upgrade unless you desperately want the A9 processor. But if you're coming from an older iPad and don't want a Pro-level commitment, the new 9.7-inch iPad is a good alternative. I heard we also got a new iPad mini? The new 9.7-inch iPad will be available on Apple's website on Friday, March 24. Deliveries will begin next week to an Apple Store near you as well as those who order online.